Our traditional kick-off to Pride with our friends from RCC. A comfortable, interactive forum for Rossmoor parents and grandparents of LGBTQs families and Alliance members. Join our many talented artists, dancers, musicians, writers, and singers for performances and an art show. A favorite of last year’s Pride, this year’s LGBTQ films will prove equally popular. Show your pride in Rossmoor and walk with your friends and neighbors. With entertainment from the Oakland Gay Men’s Chorus, we will celebrate each other, our community, and our Pride. Tickets will go on sale mid-May with accommodations for special food and mobility issues. Salsa on the Plaza is returning! Bring your dancing shoes to the easy Salsa Lesson. All residents and friends invited. Donations appreciated. Let’s celebrate Love, Diversity, and Community by dancing the night away at the annual ‘Salsa in the Plaza’ party! 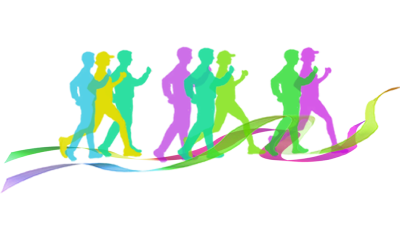 Rossmoor Front Walkers is a chapter of the International Front Runners organization with over 100 chapters throughout the world. & friends of our community. - Provide outreach to current & future LGBT residents. - Sponsor social, educational, & cultural events for the Rossmoor LGBT community. 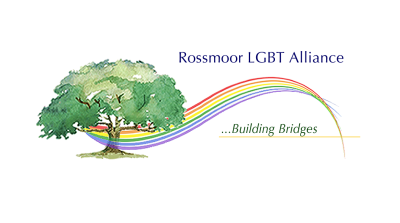 ​​​The mission of the Rossmoor LGBT Alliance is build bridges between the current and future gay, lesbian, bisexual and transgender (LGBT) residents in Rossmoor and the wider Rossmoor community. To achieve this mission, we provide outreach, education, social and/or cultural events to the Rossmoor community. The Rossmoor LGBT Alliance website is intended to help support our mission, allowing the Rossmoor community and potential new LGBT residents of Rossmoor to come together to learn about the various LGBT-oriented clubs, events, and services available both inside our community and in the greater Diablo Valley.